Vinyl Flooring ~ For Options You Didn’t Know You Had! Want the look of tile but it’s not practical for your budget? Love the look of wood but it doesn’t fit your lifestyle? Vinyl can give you the look of tile, wood and even rock for less cost and much less maintenance! 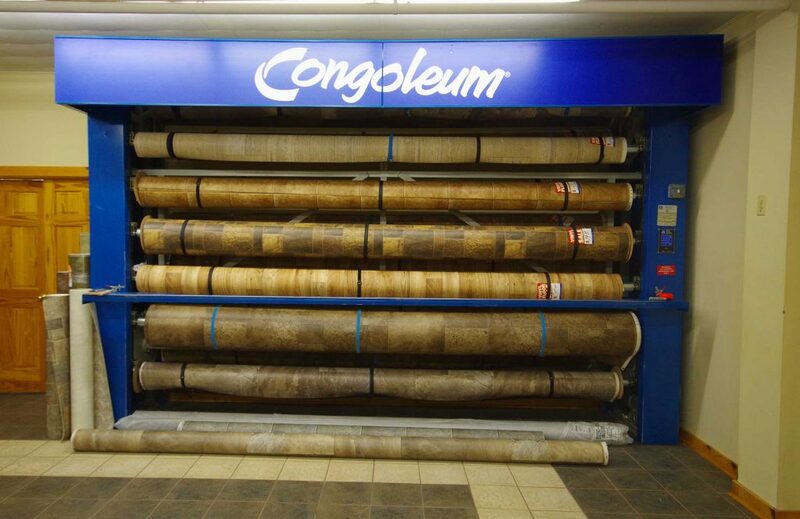 Vinyl is the chameleon of floor coverings, taking on the look and feel you want for any room in your home. And it’s easy to install. Choose from a wide range of patterns, colors and textures to beautify your home. We have the latest trends in earth tones and natural looks for you to explore. For common areas, kitchens, hallways and baths, you can’t beat vinyl for durability, affordability and style. Fiber floors are comfortable and warm like carpet, but they’re easier to clean and maintain because they’re water resistant. The selection of patterns and colors makes fiber flooring a fun yet practical option for basements and bathrooms especially. If you want something new that you don’t have to feel guilty changing up with your mood, let us show you the fun and flexibility of fiber flooring!